The measurement of what a "new" artist is, in the age of "FIRST!" has gotten a lot more confusing, of course. By the stringent standards of the internet, yesterday's hype happened literally yesterday—no one is truly ever "new." Never mind becoming a household name—if an artist has an interview up somewhere, he's become "overhyped." With that said, some artists might have made a little noise on the blogs, or gained some regional traction over the last few years, but the way we see it, they're still on the ascent. Similarly, some artists may not have much any attention whatsoever—but given the right look, they could end up becoming stars. We scrounged the web looking for hip-hop's most promising future headliners, club floor fillers, auteur weirdos—and a couple who might be all of the above. 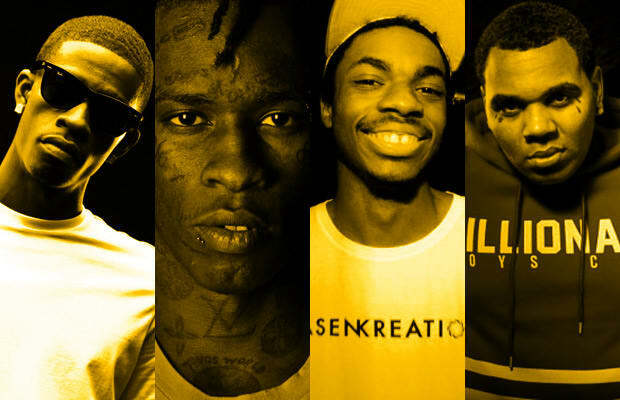 Here are 25 New Rappers to Watch Out For.